Are you headed anywhere exciting this summer? Family road trips can be a blast, but sometimes being cooped up in a car for hours on end can make everyone a little stir crazy. There is always the option of watching a movie or playing a game on a phone but that time in a car together as a family really can be fun. 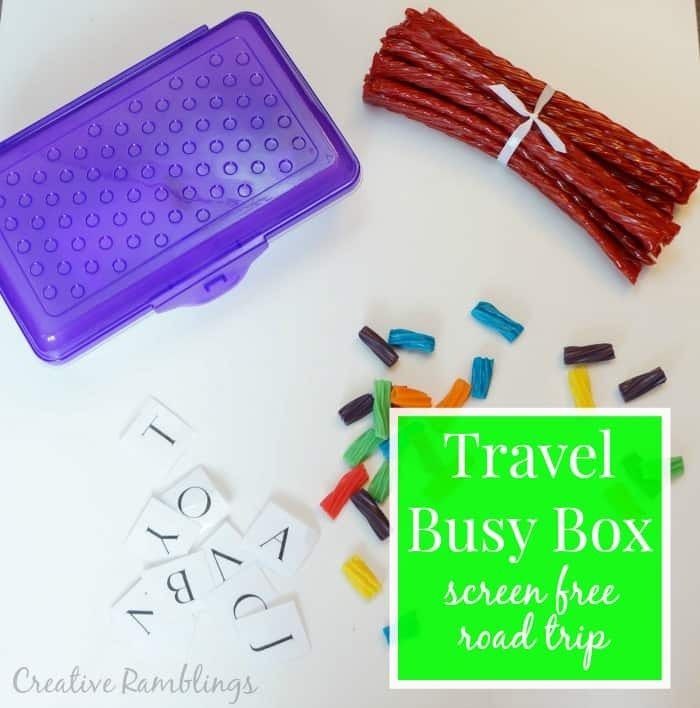 We have a couple of road trips planned this summer and I am prepared with a Travel Busy Box for a Screen Free Road Trip. My little ones are small, and I know this won’t last long. So far we have managed to keep screens out of the car. The kids entertain themselves in the backseat with a little help from Mom and Dad. I love hearing their giggles and random thoughts as we drive. On longer road trips I make sure to have a bag of activities,books, and snacks to keep them happy. This year I made a travel busy box for my oldest to use on her own. This simple box is full of activities for kids and the rest of the family to enjoy. She can do each activity on its own, or use the pieces to create her own fun. I am also packing snacks to keep us fueled, my favorite sweet treat Twizzlers Twists and lots of fresh fruit. Take a look at this short video and see what’s in the box. 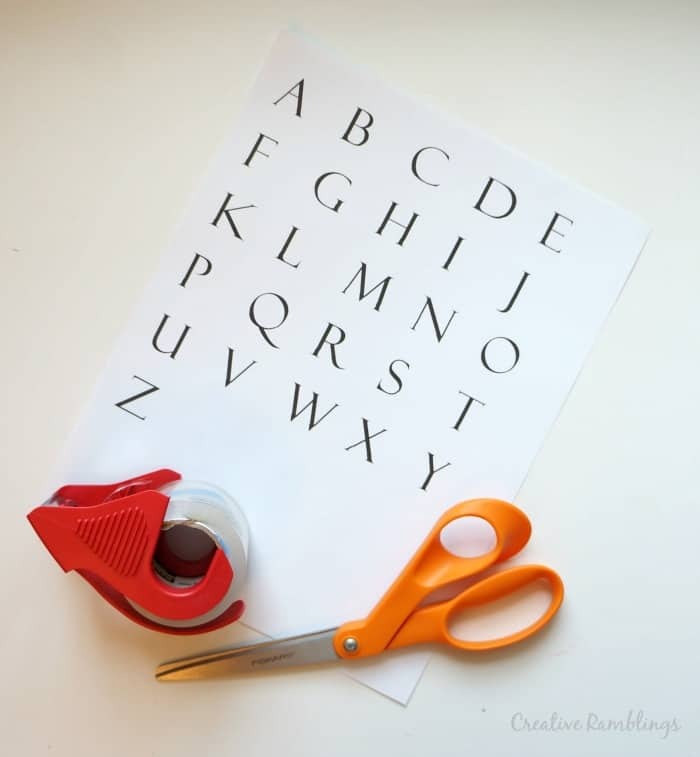 To make the ‘spell a word’ bag I printed out the alphabet and cut each letter out. To keep them in good condition I “laminated” them using packing tape. 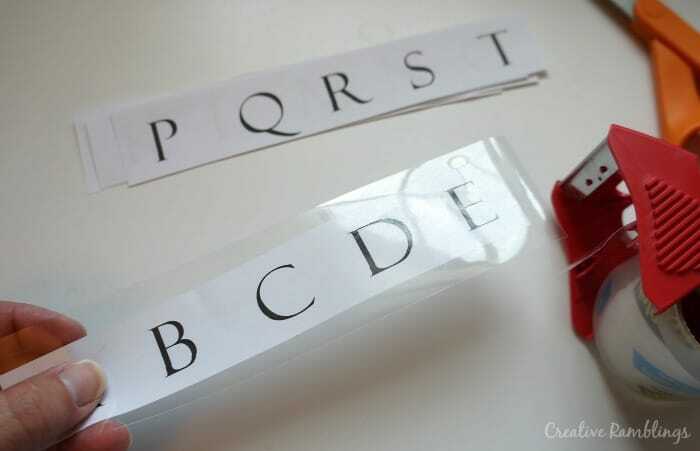 I just laid the letters on a long piece of tape then cut around each one. Kids can spell words using small clothes pins with Velcro adhered to the back and to the inside cover of the box. To make the ‘What do you see?’ bag I printed a list of words and cut them out. 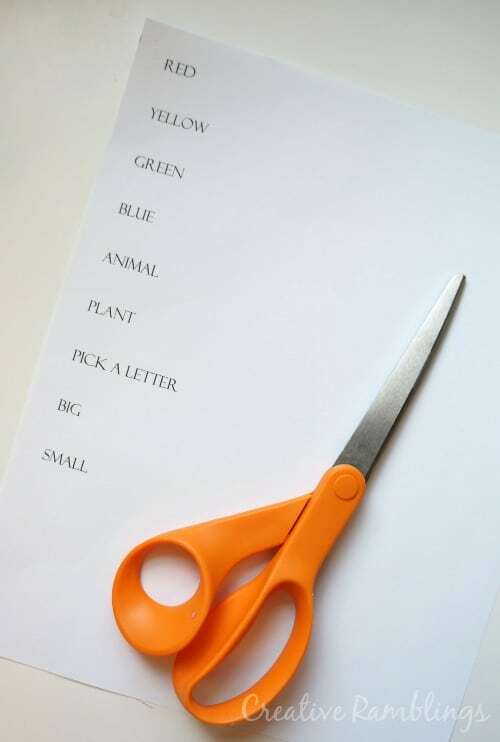 Words like red, blue, yellow, big, small, animal etc. The idea is that a word is picked and the family can call out things they see on the trip that fit the word. My favorite bag is ‘Make a Rainbow’. I started with a bag of Twizzlers Rainbow Twists and cut them into small pieces. I put a small button container filled with beads into the box along with a thin wood dowel. This is a fun game where you can slide the pieces onto the dowel in the correct order to make a rainbow. And of course eat a few as you go, I love games that double as snacks. To keep my family going on a road trip I always pack crowd pleasing and portable snacks. I start with fresh fruit like clementines, bananas, apples and blueberries. Then I add in some of our favorite sweets like Twizzlers Twists. I love Twizzlers Twists because they don’t melt, a huge bonus in a hot car. I picked up all the supplies for this Travel busy box at Walmart. The candy aisle is quite inspiring. 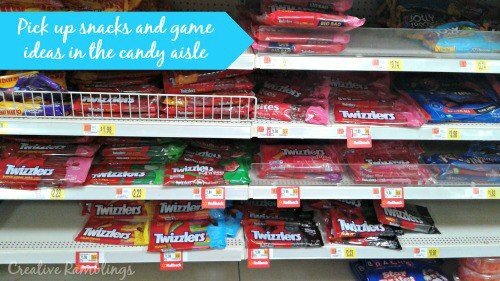 Grab some Twizzlers Twists to snack on and see what else you could use to double as a game. 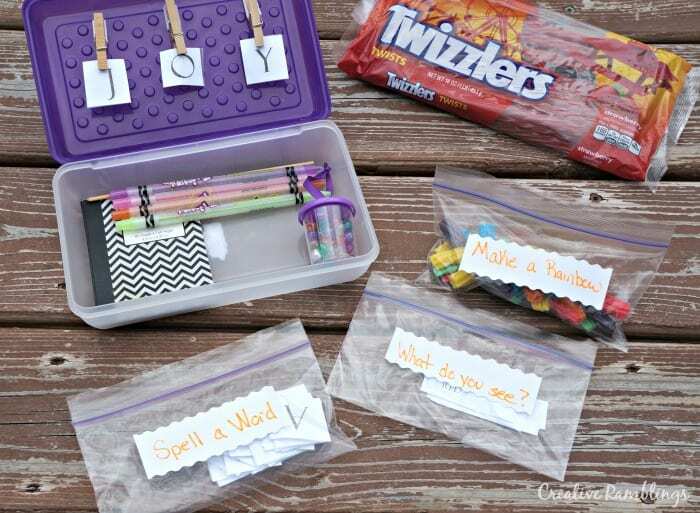 Find more summer craft inspiration using Twizzlers candy here. I’m looking forward to our upcoming road trips, and so are the little ones. 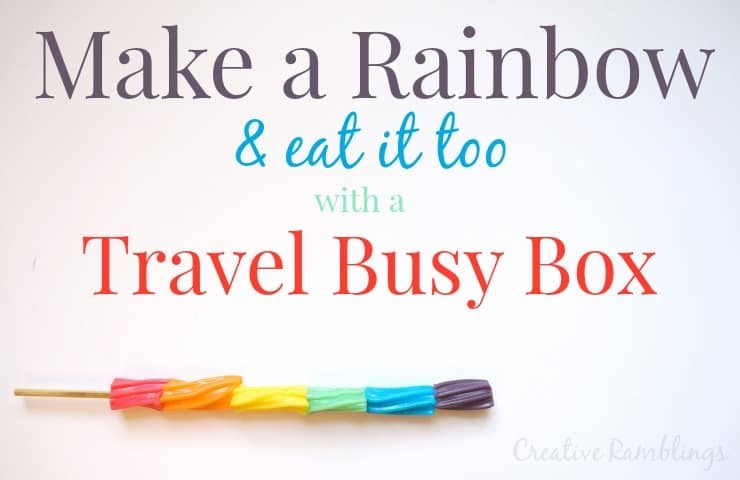 I’ve shared how we’re incorporating Twizzlers into our summer road trips, what great idea do you have for it? Leave me a comment and let me know!